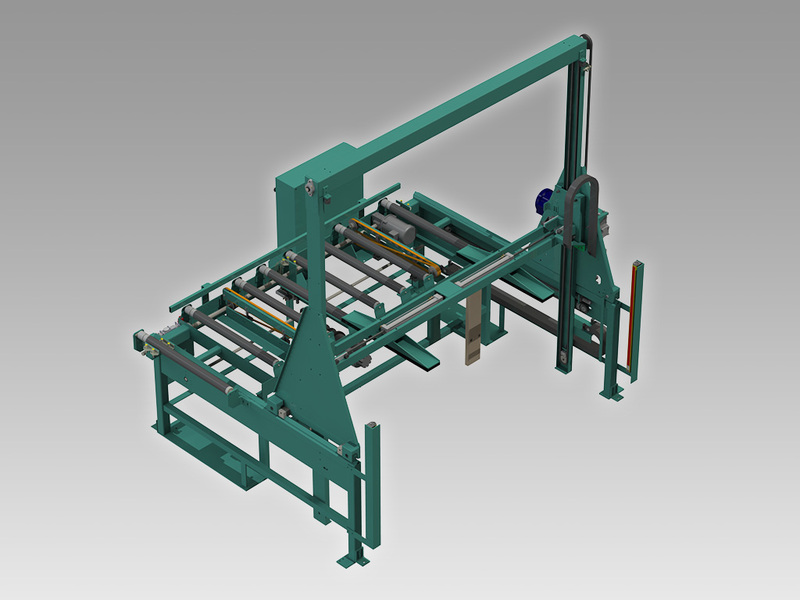 The Handler Door Feeder accommodates flush or panel doors up to 3’0” × 8’0” with a maximum weight of 125 lbs., lifting them from a stack (maximum 7’ high) and automatically feeding them to the next machine. Doors are lifted and held in place by air pressure clamps from both edges of the door, then moved automatically on a track system over the powered roll table, and finally lowered to be processed by the next machine in the line. Cycle time is 40 seconds. A variable speed drive is installed, with controls, to match the feed speed of the 558 Door Sizer, depending on customer requirements. This upgrade allows for manually inserting doors to resolve picking errors and to replace damaged doors.